This cigar has a very nice, smooth Maduro wrapper. 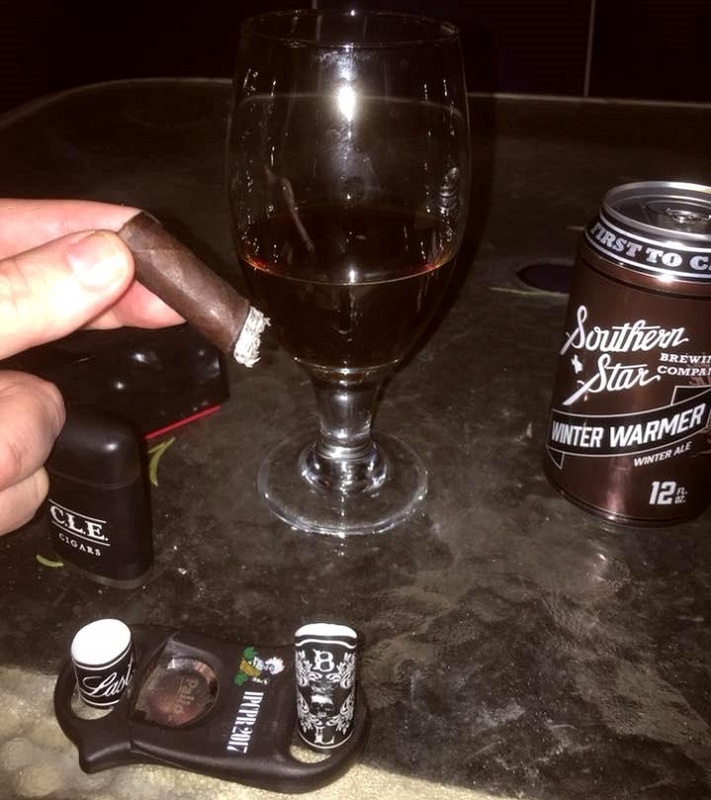 The bunch is firm with no soft spots, and the wrapper gives off an aroma of cocoa nibs and leather along with some spices. The cold draw is perfect. My chosen accompanying beverage is a Southern Star Winter Warmer Ale. The initial draws off the cigar are full bodied with plentiful smoke. There are leather and spice notes. The construction looks very good, with a clean burn and a layered medium grey ash evident. The ale provides a good pairing, with tastes that enhance the flavors of the cigar. The first third of the Petite Lancero is excellent. Cocoa nibs have joined the leather and spice notes for a solid complexity. The cigar continues to burn evenly, and the ash is not flaky. During the second third, a nice white pepper note appears in the retro-hale. I have to touch up the wrapper once; it looks as though the Ligero might have been pushed to one side during the rolling process. The ample smoke is very cool, and leaves a somewhat sweet finish.